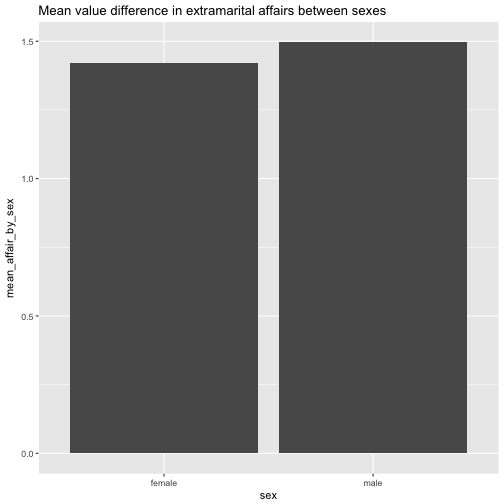 On a recent psychology conference I had the impression that psychologists keep preferring to show mean values, but appear less interested in more detailled plots such as the boxplot. Plots like the boxplot are richer in information, but not more difficult to perceive. 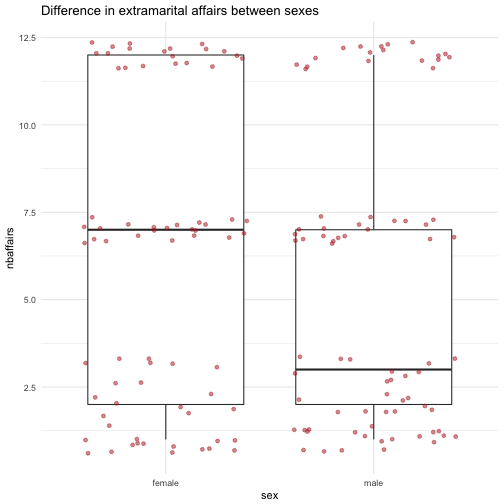 As can be seen, the distribution information reveals some more insight than bare means: There appear to be three distinct groups of “side lookers” (persons having extramarital relations).